His Royal Highness, King Obama, has decreed that he will put the US Constitution through his royal paper shredder, and force his peasants to purchase health insurance, whether they want it or not. If they choose not to buy it, King Obama will punish the peasants with fees. If the peasants cannot afford to acquire their own private health insurance, King Obama has provided an alternative, less attractive option called Obamacare, which is unfortunately more expensive than what most peasants are already paying. King Obama’s ultimate goal is to have every single peasant buying Obamacare instead of private health insurance, so that he may dictate which peasant gets what kind of healthcare, and to substantially limit the free market. In order to achieve his dreams of ultimate power, King Obama is forcing private health insurance companies to accept all peasants into their plans, regardless of any pre-existing conditions. His Royal Highness has waged this war on liberty, so that the private health insurance companies will be forced to raise their premiums, and make the expensive Obamacare premiums seem less atrocious. Because of this, private health insurance companies have had to drop some of their insurance plans. King Obama is also forcing businesses with 50 or more employees that work 30 or more hours per week, to offer health insurance. This will inhibit the growth of small companies, limit hiring, lower employees’ hours and ultimately raise unemployment rates and poverty. The peasants who no longer have health insurance through their jobs, will now have to purchase Obamacare, or pay a fee to King Obama. Many unsuspecting peasants have already tried to sign up for Obamacare on the website, but to no avail. The Obamacare website is a disaster, and a prime example of how government-run programs work: they don’t. One can only hope the Obamacare website is back up and running before Obama starts hitting the uninsured peasants with fees. Despite the exuberant costs of Obamacare, it will STILL be unsustainable. To solve this, His Royal Highness has decided to introduce 20 new taxes to keep Obamacare out of the red. What a grand idea! Take money from the peasants that didn’t buy Obamacare AND from the peasants that did! Wherever would we be without our beloved, wise King Obama? Obama’s court jester, Sarah Silverman, insults black Americans by insinuating that all young black men are criminals, and that white people should be afraid of black people. She also tries to manipulate black people based on their skin color, by falsely accusing the NRA of keeping guns away from blacks. Sarah Silverman is either a really bad researcher or a flat-out liar, because she failed to mention that the NRA helped train African-American communities to protect themselves against the KKK. Sarah Silverman has unintentionally revealed her true racist feelings in this video. Obama’s April Fool’s Joke – Or NOT! At first I thought this was an April Fools Day joke. It isn’t. Obama declares April the month to teach young people how to budget properly. Yes, Obama, the same guy who started his presidency with a $10,626,877,048,913.08 debt, and has increased it to $16,766,988,432,792.62. He’s also the same president to forgo having a budget for four years, and doesn’t even have a plan to balance the budget. The same person who thinks cutting the growth of spending by 3% is a catastrophe. Thanks, Obama, but I think I’ll get my budgeting advice from someone with actual experience. Recently, the Department of Homeland Security bought 1.6 billion rounds of ammo and 2700 tanks, and they won’t tell us why, even when congress asked! It looks like Obama is taking George W. Bush’s Homeland Security project to the next level. Due to spending cuts caused by the sequester, the White House threatens to cancel the annual Easter Egg Hunt, while sending $250 million to Egypt. Yes, Egypt, the country that hates the US, burns our flag, and attacked our embassy last year. Priorities? 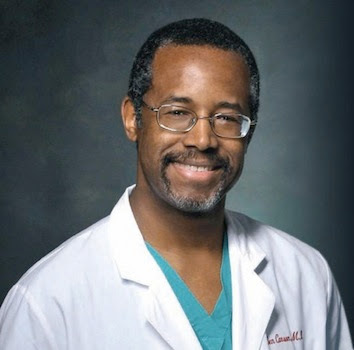 Liberal Democrats spew racial slurs at Dr. Ben Carson after he speaks at CPAC 2013. Rand Paul’s 13-hour filibuster concerning drone strikes was another step in bringing conservatives and libertarians together to reform the Republican party. Unfortunately, GOP establishment politicians (aka RINOs) like John McCain don’t want this much-needed change, and are whining. McCain referred to us as “wacko birds” and “libertarian kids”. John McCain is in for a big surprise if he thinks this movement is going to simply go away. The Virtual President speaks about how voter fraud is actually voter suppression, what we can do to end voter fraud, and how valuable our right to vote is. Worried about the looming Sequestration? Have no fear! Check out this pie chart that explains just how insignificant the sequestration is. By the way, how are spending cuts a bad thing when we have a deficit? Tired of hearing people complain about wage discrimination against women in the workplace? Here is an excellent video description of why women generally earn less, and why this is not due to the phony “War on Women”.